Sentence stems can be valuable in leading middle school writers to make inferences about course content. Have you ever dreaded grading a pile of upward of 150 essays you assumed would be filled with the uninspired ramblings of middle school students who couldn’t care less about the craft of writing, let alone the topic of their composition? When every student writes on the same topic, you often see a limited number of examples and pieces of evidence supporting their similar theses. But this certainly doesn’t necessitate each essay being identical to the next in form and substance. You can give your students tools that allow them dazzle you with their eloquence, even when their viewpoints are similar. Showing them how to use complex sentences to make inferences can transform students’ attitudes about and achievement with writing. When students join two related ideas in one sentence, writing refinement and depth begin to occur. This is not to say there won’t be a long learning curve as students practice writing more sophisticated sentences. But with lots of modeling and feedback, every student should meet the Common Core standards of producing simple, compound, and complex sentences beginning in grade 3 and varying sentence patterns for “meaning, reader/listener interest, and style” beginning in grade 6. Creating complex sentences is different from taking two simple sentences and combining them with a conjunction to form a compound sentence. Without a formal discussion about independent and dependent clauses, I simply tell my eighth graders to look at the complex sentence starters and examples I provide them, and to try out the ones that seem the most logical way to convey the important idea they want to express. Rather than speaking in the abstract, I find it easier to provide effective feedback and direction when I have a student’s concrete attempt to refer to. Many students have been taught to justify their examples and evidence using sentence starters like: “This shows that...” or “This evidence relates back to my thesis because....” These stems do provide a foundation for developing writers, but they have drawbacks: They often lead young writers to merely repeat what they’ve already stated instead of moving their ideas forward or providing depth. Yet adding depth and distinction to student essays isn’t an insurmountable challenge. We can move students past the mere regurgitation of knowledge and toward making inferences by encouraging them to use complex sentences. I show students how to read between the lines of their evidence and make an inference that takes the reader deeper into their topic. I want them to say something important or insightful that most people wouldn’t immediately notice about that topic. These inferences often show cause and effect, as well as explain why or how something occurred. Here are the stems for complex sentences that I give my students, along with my own examples of how they might be used. Since _____,: Since complex sentences join two related ideas, these thoughts must be separated by a comma. In order to _____,: In order to include a personal point of view in an essay, add an inference that takes the discussion of the topic below the surface and exposes important insights. So that _____,: So that students receive sufficient practice with writing complex sentences, I encourage them to include at least one inference in each body paragraph. On account of _____,: On account of the difficulty some students may initially have with writing complex sentences, it helps when the teacher or a peer editor approves each paragraph before students move on to the next paragraph. This way, mistakes are caught early and successes are capitalized upon. Because _____,: Because students have the freedom to read between the lines of their evidence, their inferences may reflect an increased ownership of and engagement with their writing. By _____,: By trusting that even a developing writer has something unique and perceptive to say if given the chance and proper guidance, teachers can encourage and assist all students in expressing their voice with confidence and clarity. 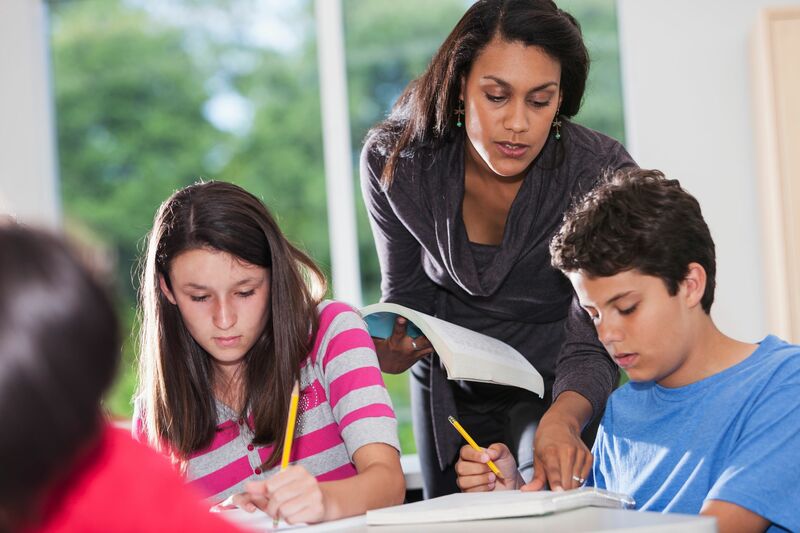 After _____,: After students master writing complex sentences, they are better prepared to avoid rambling and run-on sentences and to instead write with precision and brevity. After reading Roll of Thunder, Hear My Cry, I had my students write an essay about it. Here’s an example of how practice with writing complex sentences helped one of my students improve their essay. Simple sentence: The Logan family went through a lot. Compound sentence: The Logan family went through a lot, but they ended up safe and strong. Complex sentence with inference: Because Mama and Papa Logan showed dignity and perseverance through the hardships and racism of the Great Depression, their children were better prepared for the challenges of Civil Rights Movement to come. Forming a personal writing style is an ongoing quest that develops with experience, maturity, and clarity of purpose and perspective. Teachers of every content area can begin contributing to this process. My students’ writing and thinking have vastly improved using this technique.